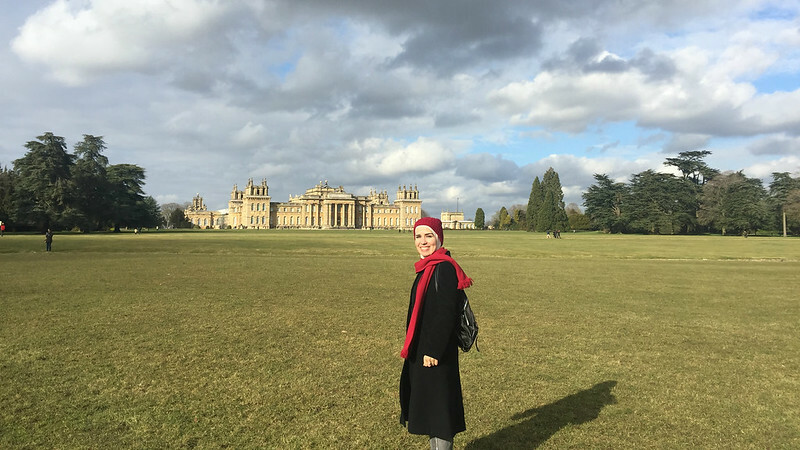 Reham Aljalamdeh, PhD Research Programme in Pharmacy and Pharmacology, shares the challenges and rewards of studying far away from her home country of Jordan. I decided on the University of Bath because it is one of the top, prestigious UK Universities. Internationally, it has an excellent research reputation. I was also really fascinated by the City and its ancient historical culture, especially as I come from al- Karak city in Jordan, which has many historical places, including a huge and a wonderful castle. I arrived in 2017 from Jordan, where I had secured a governmental scholarship. It was highly competitive and challenging to achieve, but I’m glad I succeeded. Before I came here, I completed a Masters degree in Clinical Pharmacy in The Jordan University of Science and Technology. I have worked as a lecturer there and also as a clinical pharmacist in a governmental hospital. I decided to do a PhD because it has always been an ambition of mine; I want to explore and discover new things. My PhD research allows me to expand and broaden my knowledge within the scientific research area. It focuses on modelling bacterial infections in the lung, in particular in cystic fibrosis patients who are susceptible to frequent lung infections. The aim is to improve the drug formulation provided to those patients so that it can be more effective in eradicating bacterial infections. Specifically, we are looking at 'biofilm' infections, which are highly resistant to most available antibiotics. I’m the first person in my family to go and study abroad; it was a significant decision for me. The hardest part is dealing with homesickness. My first year was difficult being away from my family, but I think I’m getting better now with assistance of my department, supervisors, and colleagues, they are so supportive. Interestingly, I feel that I have a new family here where we share together the work, pleasure, and tired times. Studying abroad and being on my own in the UK is teaching me to become an independent person and more responsible. It is also improving my confidence and my ability to flexibly deal with challenges and to overcome them by myself. It is both scary and exciting though, to be in charge of your own destiny and to make your own path. Along with personal development, being in the UK provides me a chance to improve my language skills by practicing English language in day-to-day life. In addition, studying at the University of Bath, which has an international environment, has introduced me to new and different cultures. I have the opportunity to meet such a diverse range of people, from different cultures, backgrounds, and languages and this allows me to make lifelong friends from all over the world. I am currently in my second year PhD study. When I finish, my plan has always been to return to my University and my students in Jordan to work as a lecturer; I want to transfer the education that I have learnt from such a prestigious University and from the great supervisors here. Besides teaching, I will also continue with research and will keep on networking with my supervisors and colleagues to share and exchange research ideas and to keep up to date. Studying abroad for my PhD has provided me with amazing and unforgettable scientific and life experiences, which are really valuable. If I had a chance to extend and broaden my research here in Bath then I would like to stay on and discover even more. We will see what the future brings!